Happy Opening Day Revolution fans. While the Revs won’t open Sovereign Bank Stadium for the regular season until Tuesday, they begin the journey toward what would be an unprecedented third straight Atlantic League championship in Sugar Land, TX, in the Skeeters first ever game at Constellation Field. We’ve been sifting through all the Sugar Land media links all day, and here are our favorites, the ballpark looks great (some similarities to Lancaster) and it’s an exciting time for the league. Beat writer John Walk of The York Dispatch wrote this piece, accompanied by a great video from the Dispatch’s Randy Flaum, who interviewed Skeeters President/GM Matt O’Brien, who used to serve in the same capcity for the Revolution. The video contains some great images of Constellation Field. From the Houston Chronicle, some interesting thoughts from Opening Day Partners Chairman and Atlantic League Vice President Peter Kirk on the Sugar Land ballpark and the future of the Atlantic League. This column from Baseball America examines where the Atlantic League has been, and where it’s going with the addition of the Skeeters. More good comments from Peter Kirk, and Atlanic League Executive Director Joe Klein. As we gear up for another season, here are some good twitter follows for the Revs front office: Darrell and Paul will be tweeting live before and during each game. Darrell is @RevsPBP, Paul is @PaulBraverman. The same goes for the team account, @yorkrevolution. Follow that one to occasionally win prizes during home games as well. Add President/GM Eric Menzer, @emenzer. Neil Fortier is also on twitter, follow him at @RevsVP. And for you smartphone users, the Revolution have unveiled their mobile app for Android. It’s free so search for “York Revolution” in the market. Don’t worry iPhone users, the Revs app for Apple is coming but roughly a couple weeks away. We’ll let you know when it’s out. The Revolution are wrapping up their pre-season camp, and some of the tough bullpen decisions facing Etch and the coaching staff have sorted themselves out…for now. Three players will head to the Inactive List to begin the season for different reasons, and the 25 men the Revs will take on the Skeeters with is set. You can catch Revs Wrap Up LIVE on White Rose Community TV (Channel 18) at 5 p.m. before every Friday night Revolution home game. (Watch before you come down to the ballpark!) The half-hour program is hosted by Paul Braverman, and he is joined each show by Darrell Henry and a Revs player. For the preseason preview edition, Paul, Darrell and beat reporters Jim Seip (York Daily Record) and John Walk (The York Dispatch) got together in the clubhouse to dissect all things York Revolution heading into the 2012 season, as York strives for what would be an unprecedented third consecutive Atlantic League Championship. Enjoy! Thought the Revs’ bullpen was looking pretty good? Thomas, seated next to Greg Brown, signing autographs at meet the team dinner event at Cobblestone's on May 3, 2007, prior to the Revs' departure to Bridgeport for their inaugural game. What a blast from the past this photo is. Matt Dryer can be seen as well. 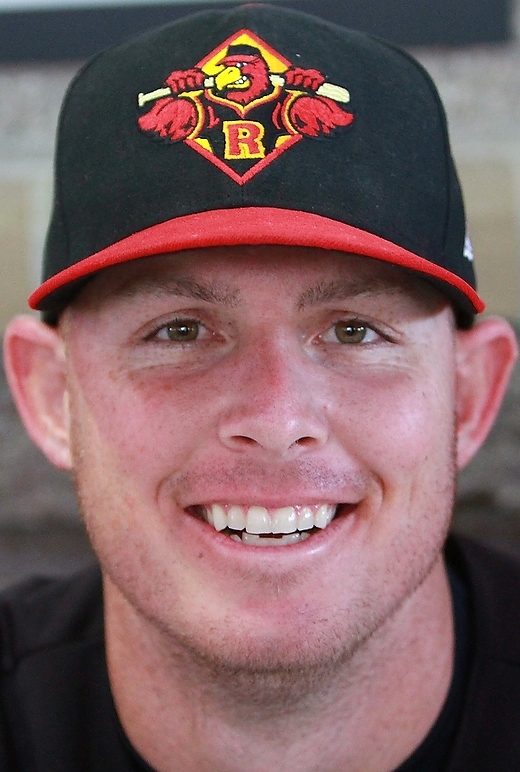 Left-handed pitcher Jake Stevens has jilted the York Revolution for a second time. Just kidding, no hard feelings. But for now, Stevens is not in the Revolution’s plans for 2012. 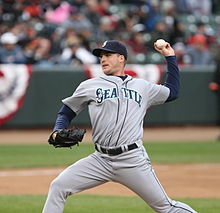 He’s signed with the Saraperos de Saltillo of the Triple-A Mexican League, voiding his Atlantic League contract. Under league rules, the Revs still retain the rights to Stevens, and if he were to become available later in the year, or next offseason, York would have first negotiating rights. It’s always possible a player in Mexico could wind up in York sooner or later…just look at Chris Nowak. We didn’t think he was coming this year, and now he’s back in the saddle. Stevens found out very recently that his wife is pregnant, and he understandably is opting for the chance to earn a little more with his offer in Mexico. Can’t blame him there. Best of luck to him and his growing family. The Revolution will have a challenge in replacing Stevens, who was pegged for the starting rotation. However, Revs Baseball Operations Manager Andrew Ball tells us a deal for another starting pitcher could be announced by the end of the week. Stay tuned for that. This is the second time Stevens has signed with the Revolution pre-season, only to sign with someone else prior to Revs spring camp. In 2009 he inked a deal with York, but the Orioles swooped in and signed him to a minor league deal before he reported, and he spent that season pitching for the Frederick Keys in the Carolina League. Stevens spent last season in the Twins organization at Double-A New Britain and Triple-A Rochester, and is officially listed on the Revolution’s Inactive List.